The long-established competition for photographers from Leica Camera AG – The Leica Oskar Barnack Award – has reached the entry stage. From 1 March to 10 April 2017, professional photographers and up-and-coming photographers aged up to 25 from around the world can submit their portfolios. 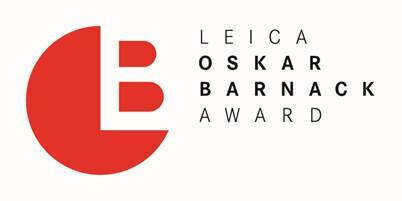 Full terms and conditions, as well as entry forms, will be published on the dedicated web site at www.leica-oskar-barnack-award.com from 1 March. To take part, entrants must submit a self-contained series of between ten and twelve images, in which the photographer perceives and documents the interaction between people and their environment in a creative and ground-breaking style. Series of photographs captured in 2016 and 2017, or work from long-term projects including at least some photographs taken in this period, are eligible for submission. As in the previous year, the winners of both categories and the ten other finalists will be honoured during a gala event and their work will be presented at a major, six-week exhibition in Berlin. The shortlist will be announced in June 2017. With prizes amounting to a total cash value of 80,000 euros, the ‘Leica Oskar Barnack Award’ is one of the industry’s most prestigious photographic competitions. The winner in the main category will receive a cash prize of 25,000 euros and Leica M-System equipment (a camera and lens) valued at an additional 10,000 euros. The winner of the Newcomer Award will be presented with a cash prize of 10,000 euros and will also receive a Leica rangefinder camera and lens. In addition to the two main categories, ten further submissions to the competition will each be awarded with prizes of 2,500 euros. The portfolios entered by all finalists will be displayed on the www.leica-oskar-barnack-award.com website and in the magazine published specially for the competition.